We are already in the second half of February which means spring is right around the corner! 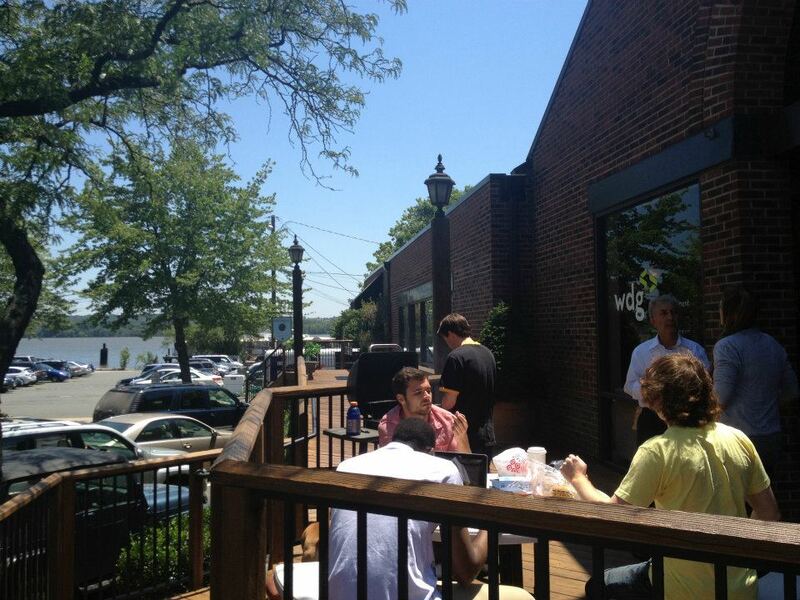 We are all waiting anxiously for the warm weather and long days that make grilling at WDG so popular. 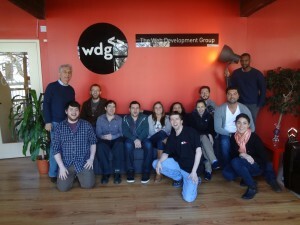 Without a doubt, this week has been quite the eventful one for WDG. Once the demolition was done, we wanted to mark the new space as our own territory. We ordered a sign for our new, much larger, lobby space. Big thanks to Signs by Tomorrow Alexandria, for making this even more awesome than we thought possible. Who remembers CreateathonDC? During this awesome event, hosted by WDG, a group of hand-selected volunteers from DC’s creative community came together to build a new web presence for three selected nonprofits. 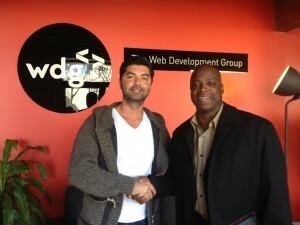 The event was a huge success and all three sites launched within the 72-hour deadline. If you want to see some of the awesome work done by the different teams, check out Borromeo Housing‘s, Phoenix Bikes‘, and DC Diaper Bank‘s websites! Anyways, this year’s event, GiveBack DC, is going to be even bigger than last year’s. We are planning on working with four non-profits and using Drupal and WordPress depending on the needs of the non-profits. We are currently scouting for volunteers and non-profits. If this is something that you are interested in, check out the GiveBack DC website (FYI, we are still tweaking it a bit to make it perfect) and apply today! Be sure to keep up with us on Facebook and Twitter for all the latest ramblings. Technically this happened last week but it hasn’t made it to the blog yet, so here you go: The WDG Ping Pong Table in all its glory! This is perfect to bounce ideas off of each other during lunch or for a quick recap of the day at then end of the day. 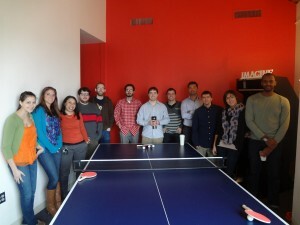 Some of our best ideas are discussed over a game of ping pong. Well, you know you have made it to the big leagues when former Redskin’s cornerback and Hall of Famer, Darrell Green, walks over to your office! One of our co-workers is a huge Redskins fan but, unfortunately, he was in a meeting during Darrell’s visit. Wah Wah.